Louth Super Booze in Eastgate, Louth. Louth Super Booze in Eastgate, Louth, has had its Alcohol Premises Licence revoked by East Lindsey District Council this week. 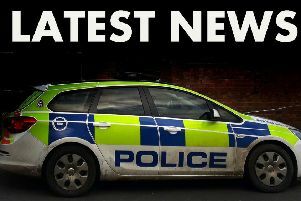 The Alcohol Licensing Team from Lincolnshire Police submitted paperwork for a Licence Review Hearing, following a raid on the premises in which bottles of smuggled alcohol were seized. Yesterday (Monday August 15), a hearing was held in front of ELDC’s Licensing Sub-Committee. After hearing all the evidence, they agreed with the police that the premises had been actively involved in the illegal sale of smuggled products. Due to this, the sub-committee believed that Louth Super Booze were failing to promote the licensing objectives, and their licence was revoked. The initial raid followed the Alcohol Licensing Team receiving intelligence that wine was being sold by the store at a suspiciously low price. Officers visited and found that the intelligence was correct. Wine was being offered at four bottles for £9.99p, £2.50p per bottle. 121 bottles were seized. The owners of the store did not produce any legitimate receipts or plausible account for the purchase of the wine, nor did anyone attend from the store at the hearing. Sergeant Kim Enderby from the Alcohol Licensing Department said: “Unacceptable criminal activity was centred on this store, the way in which the store was being run was clearly undermining the Licensing Objectives. “Wine of this time and bottle size cannot be lawfully sold under £2.65p per bottle. Low priced wine is produced in foreign countries, in conditions that do not meet British food Safety regulations. They are then smuggled into the country, evading any duty owed on the wine and then offered for sale at disreputable businesses like this one. “The store shut a few weeks after we raided it but remained licensed and could have re-opened at any time, which is why we still called a review hearing. “Cheap wine of this type can present a real danger to those members of the public purchasing it. The decision of the Sub-Committee to revoke the premises licence is a clear warning to other stores considering selling products of this type. “Lincolnshire Police are committed to preventing activity like this on licensed premises. “I would appeal to members of the public who are aware of stores selling dangerous and illegal products like these to come forward with the information”.